Happy Monday everyone! Today we’re bringing you a glimpse of our latest La Tavola Experience with the lovely ladies of fashion label Stone Cold Fox. Spring is here which brings new fashion trends and collections. 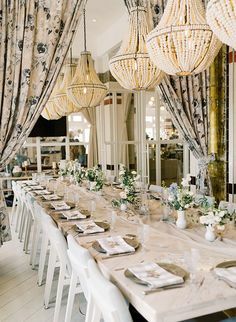 We celebrated their Spring 2017 line, an Italian Affair, with an Italian themed dinner party. La Tavola means “the table” in Italian so we always down for an Italian theme! 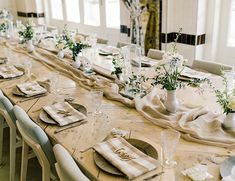 We created a spring Italian table for our La Tavola experience with the Creation Snow linen and Tuscany white napkins. Set amongst Big Daddy’s Antiques gorgeous antiques the atmosphere was pretty much perfection. 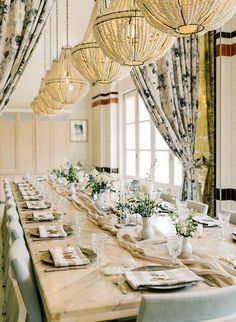 Casa De Perrin’s Heath Ceramics Moonstone and Mist plates were the perfect accent with gold brushed flatware. LouLoudi Designs brought the table to life with white florals and pops of yellow and pink. Lemons were added to each place setting for a special touch. As guests arrived they sipped on wine from One Hope Wine and sampled appetizers by Haute Chefs LA with a spring vegetable crudité, focaccia robiola and arancini. The dinner was served family style with a festive spring salad and fresh fettuccini with Moroccan lamb sausage and PEI mussels. 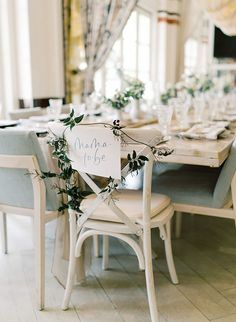 Menus were created by Minted. The fashion duo of Stone Cold Fox Cydney Morris and Dallas Wand were joined by Emily Ratajkowski, Luv AJ designer Amanda Thomas, and other fashion insiders. Keep an eye out for our next La Tavola experience. Photos by Scott Andrew Studio.